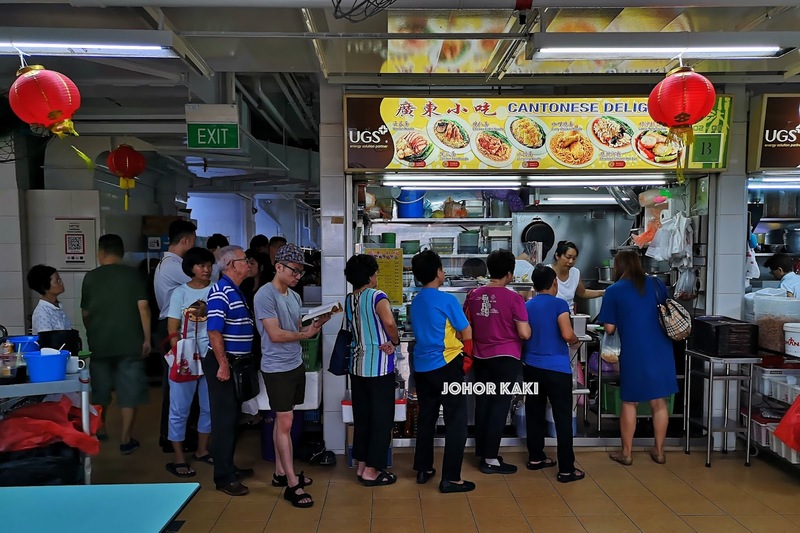 I have been wanting to try Cantonese Delights at Hong Lim hawker centre for years but was always put off by the long queue. I finally tried it today because l was early and had some time till my next meeting. 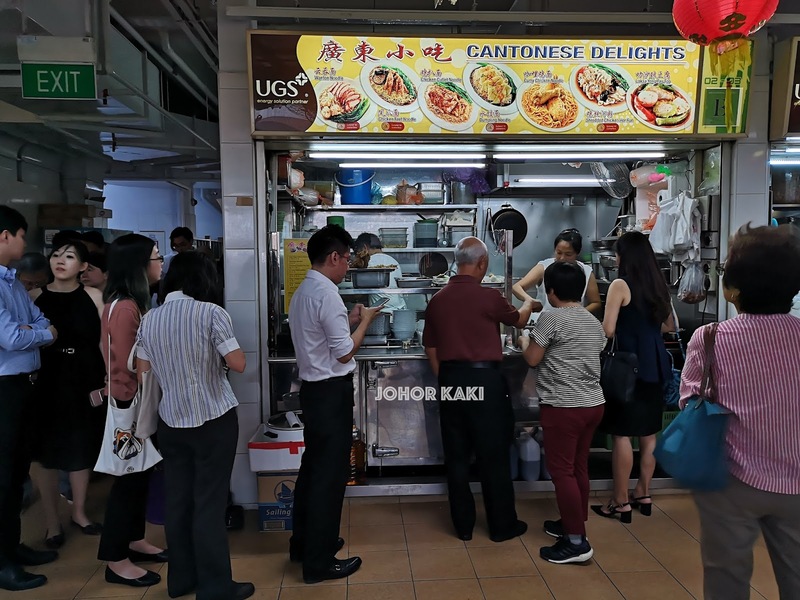 As l stood in the queue, l asked the lady ahead of me what is good at Cantonese Delights (one of the reasons l haven't eaten here is l don't know where to start trying from their extensive menu). I asked the right person - lady is a regular and she gave me a few pro-tips which l put to good use right away. 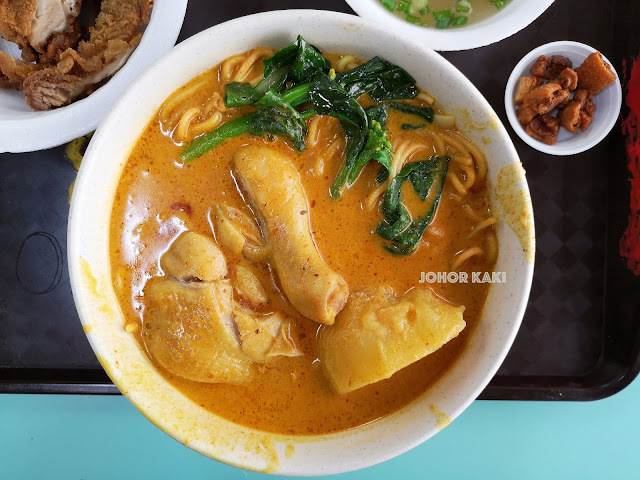 I was alone, so for my maiden visit l ordered curry chicken mee and added fried chicken cutlet on the side - a hack taught to me by the lady. The curry chicken noodles had the aroma which l missed from my childhood (l was just talking to buddy John about this). The curry was thick creamy savoury sweet spicy - l love the old school taste and aroma. The chicken drumstick was tender and juicy like poached chicken at the best chicken rice stalls of Singapore. The juicy smooth chicken flesh was naturally sweet. Curry chicken noodles is just one of Cantonese Delights' many menu items, but it "got fight can win (as we say in Singlish)" the famous curry chicken specialists of Hong Lim hawker centre. The chicken cutlet was okay as it was crisp outside, tender inside but it was not specially memorable. Taste was savoury with underlying chicken sweetness. 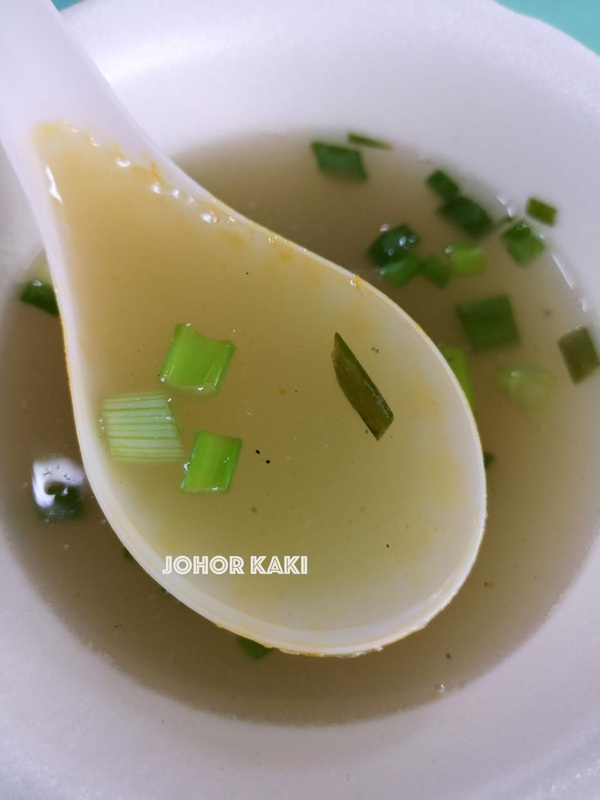 The sweet savoury soya bean based soup was like those one gets at good yong tau foo stalls. 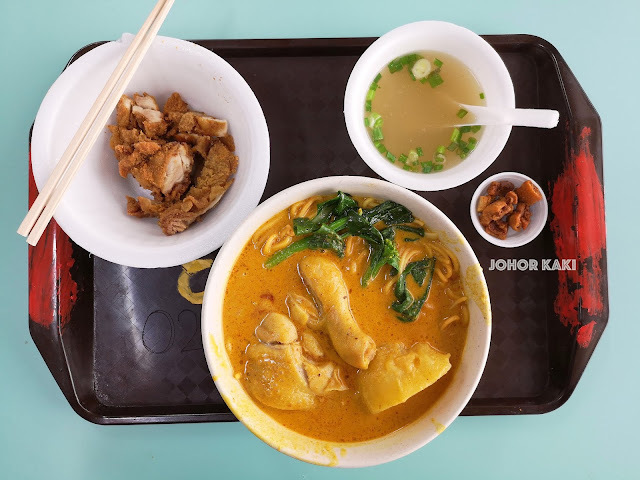 Truth be told, the soup was nice but doesn't pair very well with either the fried chicken cutlet or curry mee. By the way, Cantonese Delights is also popular for their yong tau foo (which I will try next time). 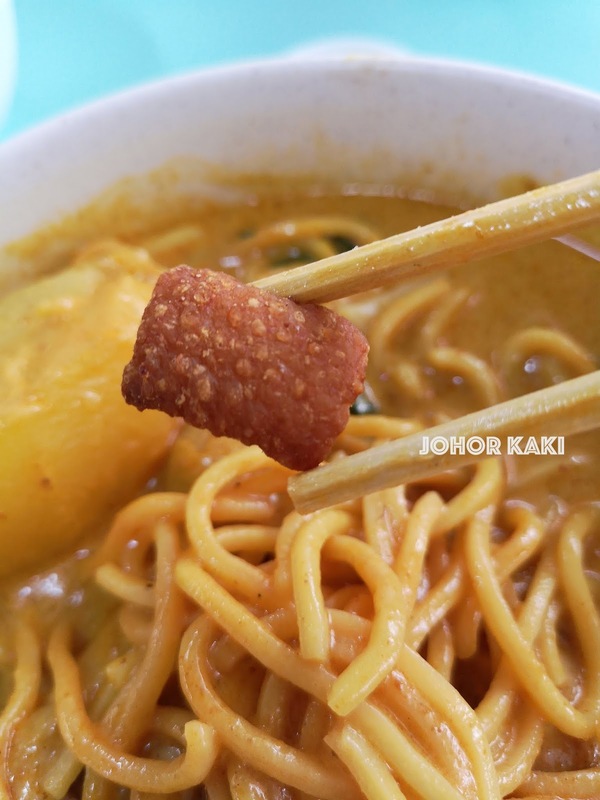 No one normal eats curry mee with fried pork lard but Tony is Tony lah... Nice - crisp, crunchy with porky taste in the grease. 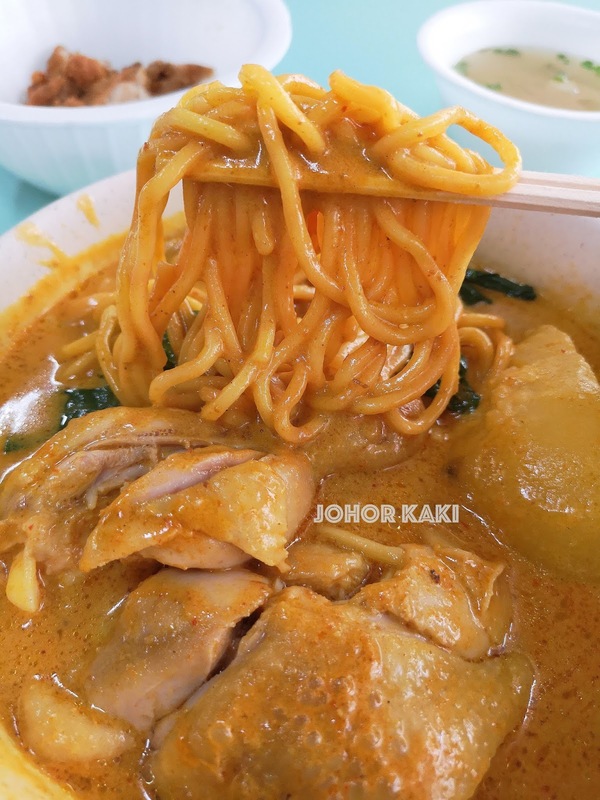 Recommended for you 👍 Really good and cheap chicken curry mee you must try if you are a curry fan. 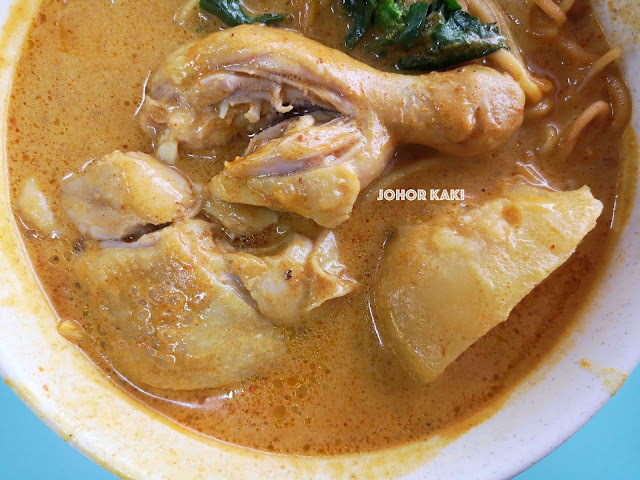 Sweet, very lemak, mild spices. I shall be back for more Cantonese Delights dishes. 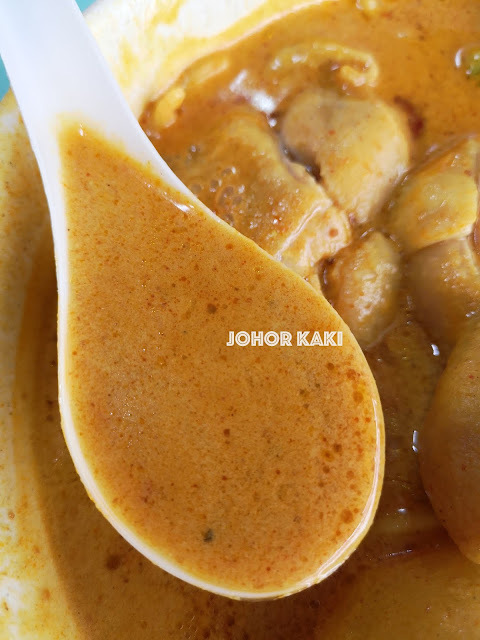 There is also the laksa yong tau foo to try. 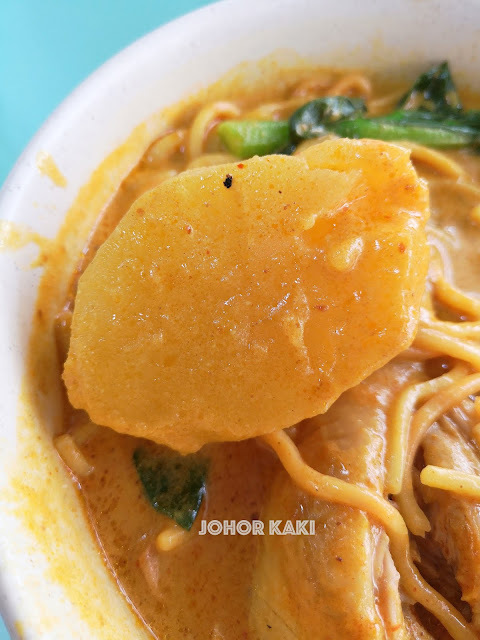 The laksa has a prawn umami flavour as opposed to the sweet chicken curry. Enjoyable review, thanks. Haven't lunched at this wonderful stall for some time - really delicious chicken curry mee and cutlet, good laksa yong tau foo, tasty dumpling hor fun etc. 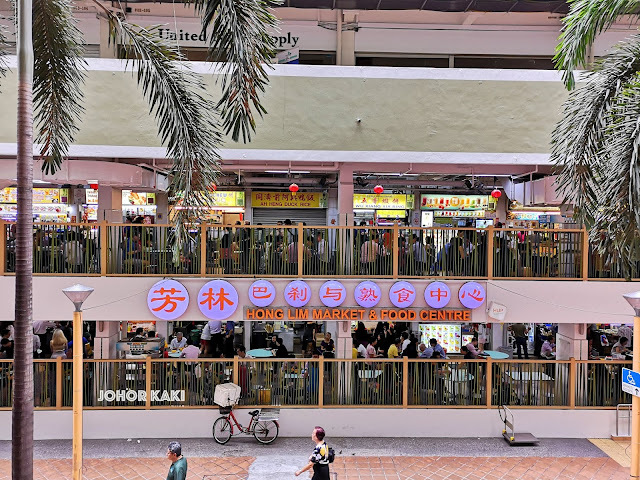 But what I truly appreciate besides the superb and reasonably-priced food is the pleasant and polite service and attitude of the two stallholders.